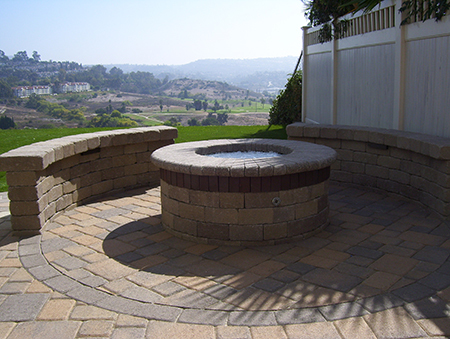 So, you want paver stones, but you’re not sure what all is involved in the process. How long will it take? Will it keep the yard in a mess for weeks? 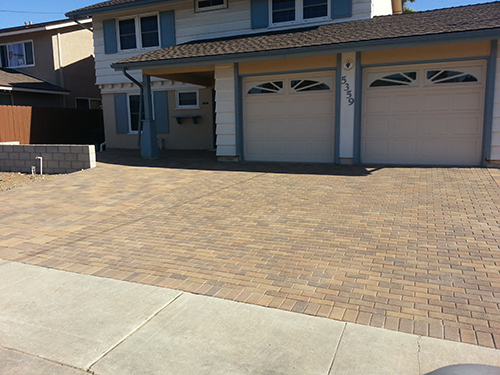 What is the pavers price per square feet? How much trouble will it be? Fortunately, the top-rated pavers contractors will see your job through start to finish, assuring the job is done right and competed in a timely manner so you can get back to doing what you do best — enjoying your home. The first thing the paver contractor has to do is excavate the area where the stones will go. Usually, this involves removing about eight to nine inches of the topsoil. Once the site is excavated, the workers will pack down the soil so that it is firm and ready to accept the layers of paving. In some cases, such as pavers for driveways that will carry loads of significant weight, the workers will need to lay a layer of geo-textile. This is also called filler cloth. 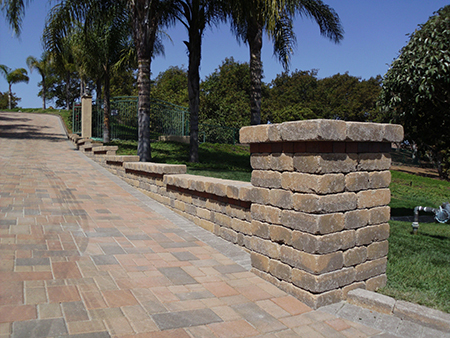 It is used to assure that the subsequent layers don’t mix with the soil and deteriorate the paver above. 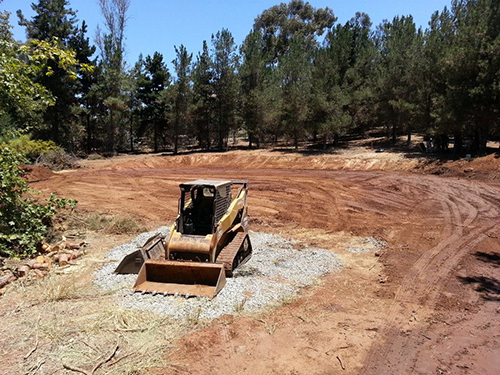 Next, the paver contractor will lay the base material This is generally class two road base gravel. The base is about four to six inches deep, depending on the load the paver stones will bear. In some cases, a drainage system is needed to help the water run off the finished paving stones. Your paver contractor will help determine if this is necessary. Next, installers will put in the wash bedding sand, about one inch thick. This sand will help keep the paver stones in place after installation is complete. Next the installers place the paver stones. Then workers settle the stones in place by compacting them tightly into the bed of sand beneath. After the stones are set into place, the paver contractor will apply the polymetric epoxy sand, which keeps the stones in place. 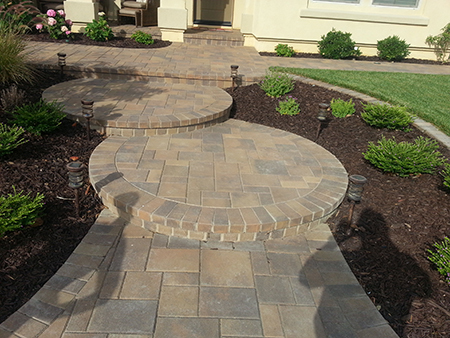 Before leaving the work site, the workers will thoroughly wash and clean the paver stones, so that when they are done your new paver stones look brand new and beautiful. 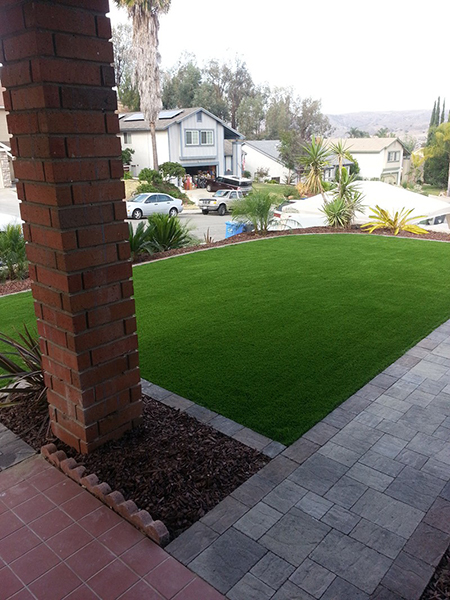 One of the benefits of using Accurate Grading and Paving — the best pavers installer in San Diego — is that they assign a specific project manager to oversee each job from start to finish. You will not have to worry about who is overseeing the work to make sure it is done correctly. When a single person is responsible for the entire job, it improves communication between the workers and the customers, and assures a higher quality outcome once the job is finished. This project manager is also available to answer any questions you have about the work that is being done or the workers on your property. 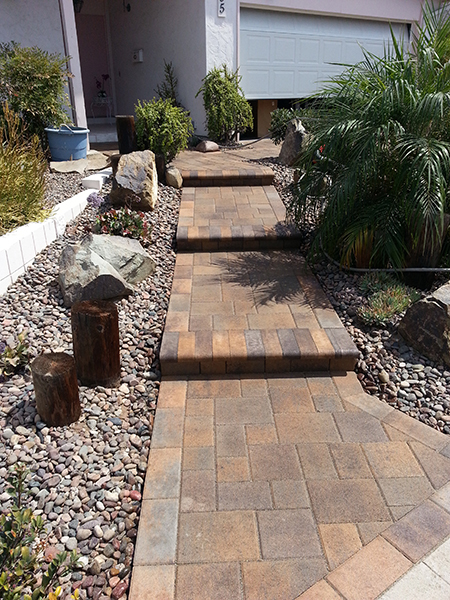 If you still haven’t decided whether paver stones are right for your application, call for a free consultation. A paver contractor with Accurate Grading and Paving will be happy to explain the benefits, to look at your proposed site and to recommend the best products for what you have in mind.